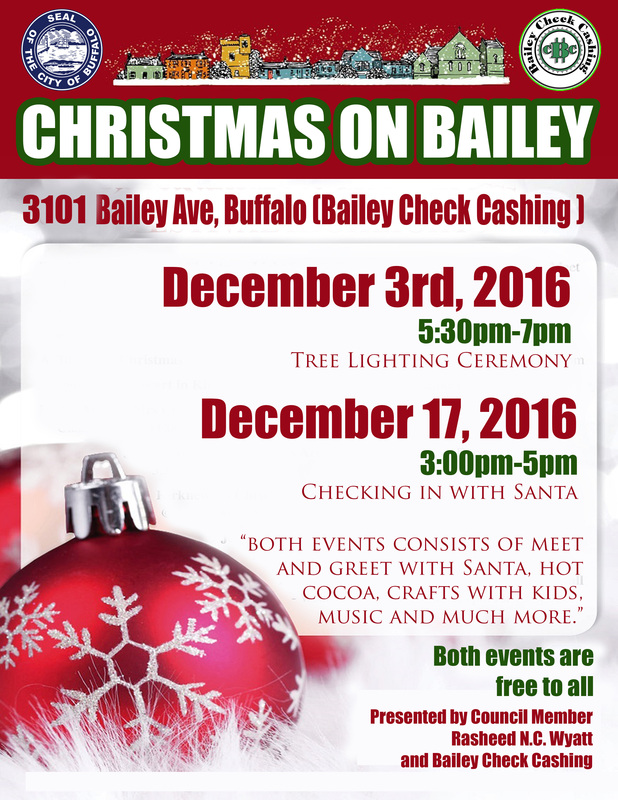 Please join University District Council Member Rasheed Wyatt and Bailey Check Cashing as they celebrate Christmas on Bailey! On Saturday, December 3rd at 5:30PM there will be a tree lighting and Saturday, December 17th at 3:00PM will feature a visit from Santa. Activities for each day include a meet and greet with santa, hot cocoa, crafts, music and more!